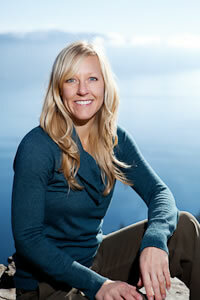 Brooke is a diversified and skilled healer. In addition to having studied BodyTalk Fundamentals, the building blocks of BodyTalk, she has studied The Principles of Consciousness, the Musculo-Skeletal System, 5 Elements, Bio-Dynamics, Orthopedic Evaluation, and PaRama. This two year course is likened to the post-doctorate work for The BodyTalk System. It incorporates state of the art energy medicine utilizing the principles of quantum mechanics, neurophysiology, neuro-psychology, lateral logic, and philosophy, thus expanding the scope of practice for transformation on a core level. More recently, Brooke has been studying homeopathy and detoxification, also working with sound healing. Additionally, Brooke is a Reiki Master/Teacher, has a BS in Biology, is certified to teach yoga to both children and adults, has been a tour guide in the United States and western Canada for over 12 years, and is a Wilderness First Responder. Her future goals involving BodyTalk include bringing BodyTalk Access to Lake Tahoe (a one day course for EMT’s, Search and Rescue, Ski Patrol, the Fire Dept, professional health care providers, and community), working with BodyTalk in the wilderness, and community outreach in third world countries.